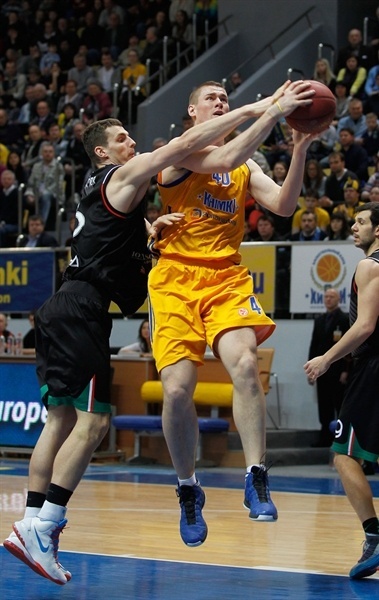 BC Khimki Moscow Region improved to 6-4 in Top 16 Group F by downing Montepaschi Siena 78-71 at home on Friday. Khimki is tied with defending Turkish Airlines Euroleague champion Olympiacos Piraeus for third place in Group F, one win behind Montepaschi Siena, second at 7-3. K.C. Rivers paced the winners with 19 points. 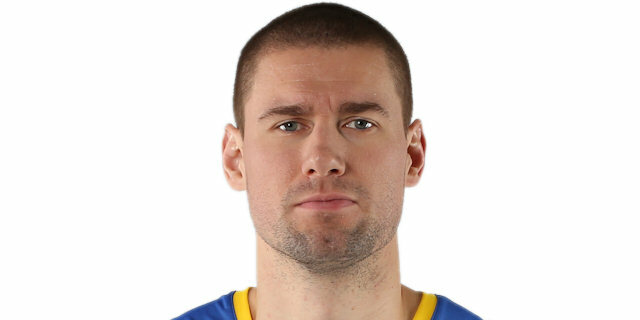 Paul Davis added 18 and 7 rebounds while Zoran Planinic dished 9 assists for Khimki. 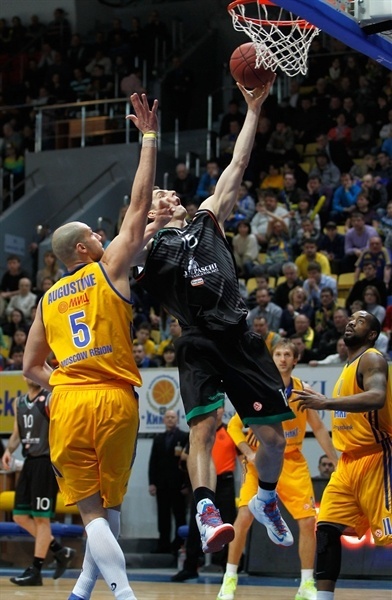 Bobby Brown led Montepaschi with 17 points. Kristjan Kangur added 12 and Benjamin Ortner 11 for the guests. Rivers had 8 points and six other Khimki players scored in the first quarter to give the hosts a 25-20 lead after 10 minutes. Davis led an 8-0 run that boosted the hosts' margin to 39-26. Brown stepped up late in the first half and sank a wild buzzer-beating shot to get Montepaschi within 44-37 at halftime. Free throws by Brown brought Montepaschi a bit closer, 59-54, late in the third quarter. It didn't last long, however, as Rivers and Kresimir Loncar combined for 12 points in a 14-0 run that sealed the outcome, 73-54, with seven minutes to go. Montepaschi got within 78-71 in the final minute and had a chance to steal the tie-break advantage in the closing seconds, but Matt Janning missed from downtown at the buzzer. Kresimir Loncar got Khimki going with a backdoor layup and soon added a mid-range jumper for a 4-0 lead. 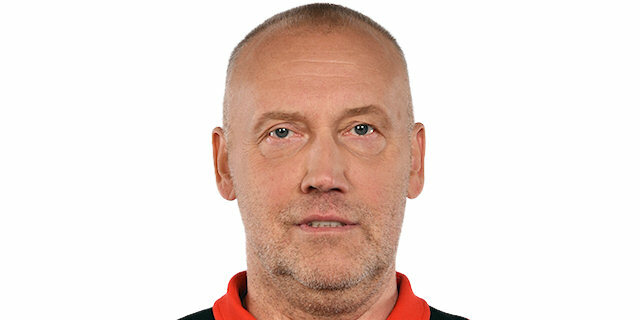 Montepaschi was scoreless for the opening two minutes, as Egor Vyaltsev prevented Brown from playing one-on-one. Planinic scored in penetration, but Kangur answered from downtown to get the guests within 6-3. 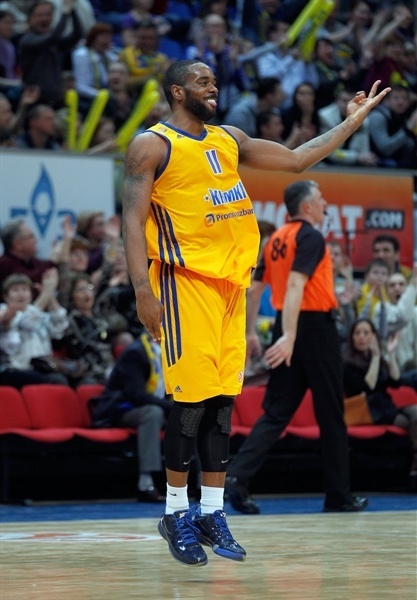 Rivers downed a mid-range shot and a jump hook by James Augustine boosted Khimki's lead to 7. Marco Carraretto nailed a corner triple and Vyaltsev also joined the three-point shootout. Carraretto and Augustine exchanged free throws and a three-pointer by Rivers gave the hosts a 17-8 margin. Brown swished a five-meter jumper and Kangur did better with a triple that brought Montepaschi within 17-13. Rivers and Brown also hit one apiece from beyond the arc and a layup by Davis restored a 22-16 Khimki lead. Brown kept pacing the guests with free throws and a dunk by Viktor Sanikidze made it a 2-point game. Vitaly Fridzon stepped up with a layup-plus-foul that fixed the score at 25-20 after 10 minutes. Davis dunked early in the second quarter, but Moss buried a stop-and-pop jumper to keep Montepaschi within 27-22. Davis fed Dimitry Khvostov for a layup. Montepaschi started to power the offensive glass with more aggressiveness. Kangur nailed a fade-away jumper, Fridzon buried a mid-range shot and a backdoor layup by Sanikidze brought the guests as close as 31-26. Davis hit an open jumper that Planinic followed with a driving layup, which caused Montepaschi to call timeout at 35-26. Planinic found an unstoppable Davis for a layup and soon added a close basket that broke the game open, 39-26, after an 8-0 run. Benjamin Ortner tried to change things with a three-point play. Petteri Koponen matched with a bomb from downtown. Sergey Monya buried a turnaround jumper, but free throws by Brown and a jump hook by Luca Lecthaler brought the guests a bit closer, 44-33. Lechthaler scored around the basket and Brown banked in a wild fade-away shot at the halftime buzzer to get Montepaschi within 44-37 at the break. Davis added to his tally after splitting free throws following an unsportsmanlike foul. However Planinic was whistled for the same after pulling down Ortner at the other end. The Siena center and his Khimki counterpart traded free throws to make it 46-39. After a Vyaltsev jumper and a Davis dunk, the hosts lead was double figures again. A triple by Aleksandar Rasic and a tough jumper by Brown kept Siena in the hunt. Kangur darted through the paint for a layup that trimmed the gap to 53-46 midway through the quarter. Moss and Davis traded baskets. After a few barren trips up and down the floor, Kangur scored to keep the deficit at 7. 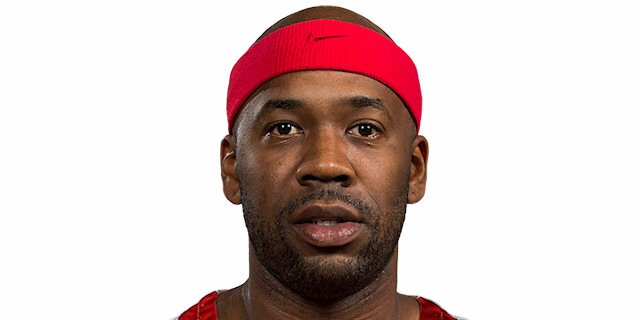 Planinic fed Davis, who sank the resulting 2 free throws. Matt Janning’s first points and free throws by Brown got Siena within 5. Monya fed a cutting Rivers and the latter ended the quarter with a pull-up triple to make it 64-54 through three quarters. Loncar scored twice around the basket early in the fourth quarter to make it a 14-point game. Montepaschi could not find the way to the basket and a jumper by Monya forced Coach Luca Banchi to call timeout at 70-54. Another three-pointer by Rivers capped a 14-0 run that bridged between the final two quarters and sealed the outcome, 73-54. Janning tried to ignite the guests' comeback with a pair of three-pointers, as Montepaschi tried to at least get the tie-break advantage by losing by less than 6 points. Sanikidze dunked, which caused Khimki to call timeout at 73-62. Fridzon rescued the hosts with a triple, but Ortner scored down low and Rasic struck from downtown to get Montepaschi within single digits, 76-67 with over two minutes to go. Ortner stepped up with a layup, which Davis matched with free throws. Ortner scored again already in the final minute and Rivers missed free throws with 18.4 seconds left, giving Montepaschi a chance to get the tie-break advantage. Janning missed from downtown at the buzzer, allowing Khimki to celebrate a big home win by a very important margin. "Everyone knew how important this game was for us. I am happy that we managed to win, besides one point more than we lost in Siena. This is a double win. 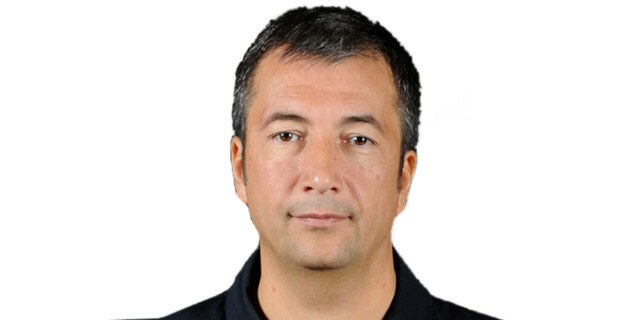 It seemed liked it would be easier, but it's Euroleague, and, despite the fact Montepaschi lost key players like Ress and Hackett, they fought to the end. We had an alarm that the game would be difficult to obtain. I am grateful to the guys for their dedication and character. Monya played a great game, he is a real fighter. Paul Davis also did great job. We had problems with free throws. I wish these figures were better." "I congratulate BC Khimki on a big win tonight. They beat us twice – on the court and by the margin of 7 points. So they have a chance to survive in the Top 16. Today you might have seen how the scenario of a new Top 16 format could change game after game. 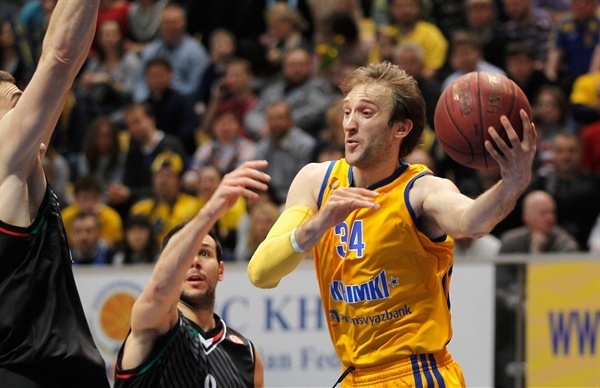 It’s a great goal for BC Khimki because nobody knows what eventually will be in our group. We approached this game without three players – Ress, Hackett and Eze and it was very difficult to repeat the same type of the game like in Siena and contest a solid roster like BC Khimki has. We are disappointed with our shooting percentage as we missed too many open shots. In the fourth quarter it was a very clear situation when three or four times we missed very easy open shots. BC Khimki shot better and in the end we played wrong." "For us it’s a very big win. If we win the game in Tel Aviv over Maccabi, it will be a great chance to move on. We made a lot of mistakes, but continued to fight and that’s why we won. We played really well in the first game in Siena, but it was very tough. So we needed a win by 7 points and we did that to cover the spot. We did well in defense as Siena has a lot of great shooters. We are happy with this victory. I suppose we didn’t play as good as we could. Nevertheless, we won and that’s more important." 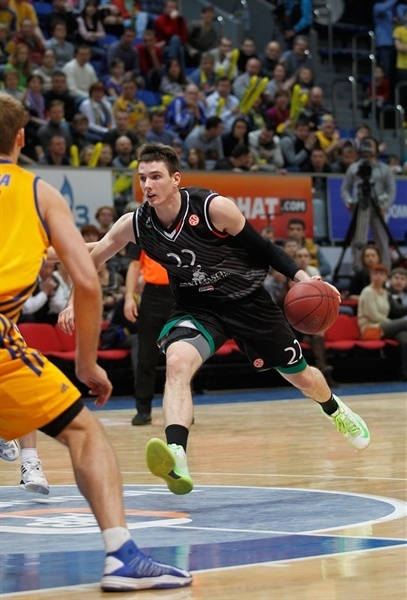 "We knew that it would be a tough game for us at BC Khimki’s home court. They are a well-coached team with great guys. Today they were better. As for us, we go home to prepare for the next game with Olympiacos Piraeus. If we compare the two games, in Siena we played much better, but in Khimki we did well in the beginning, didn’t give up and tried to resist. Definitely, I’m disappointed with the loss by 7 points. Today we missed our injured players very much."